For the past 65 years, Lancastrians have been treated to a taste of summer, courtesy of the Lancaster Sertoma Club. 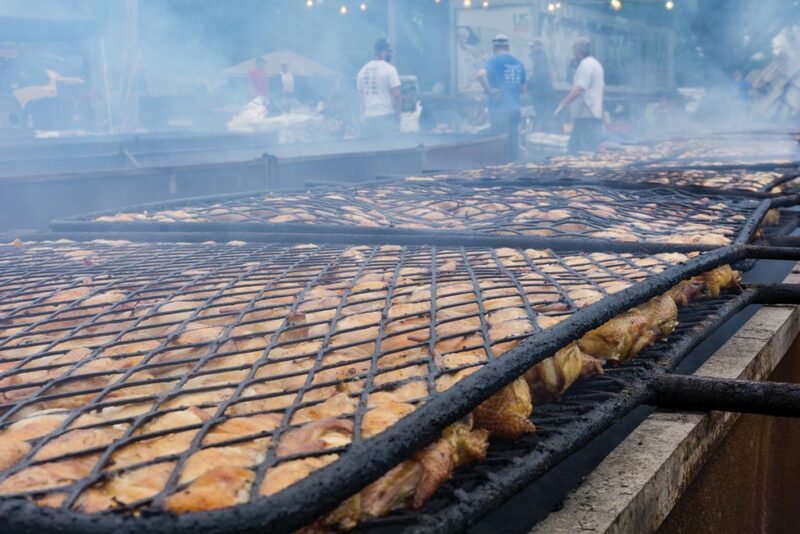 I am, of course, referring to the annual Lancaster Sertoma Chicken Barbecue, whose humble beginnings – the first barbecue earned $137 – grew into a Guinness World Record event (world’s largest one-day barbecue). 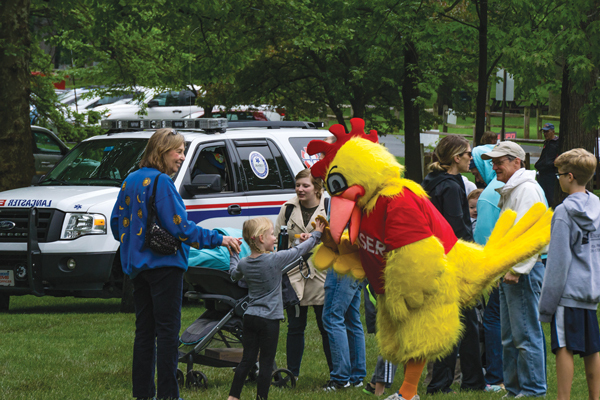 Each year on the third saturday in May, the Sertomans – this year’s chair is Nicki Nafziger – and hundreds of volunteers come together in Long’s Park to serve more than 22,000 chicken dinners that include tasty contributions from companies such as Herr’s, Kegel’s Produce, Pepperidge Farm, Turkey Hill, Hershey’s and Wegman’s. The proceeds from the event are earmarked for maintaining and improving Long’s Park, which is used by thousands of visitors on a weekly basis during the summer months. To date, Lancaster Sertoma has donated more than $1.5 million to the park. Those funds have helped to build playgrounds (including one for blind and handicapped children); maintain the pond, amphitheater and petting zoo; create a wetland trail; provide care for the trees and lawns; and build and renovate restrooms. Additionally, the barbecue helps to fund Compass Mark’s Kids Kamp for at-risk youth, a Naturalization Day reception for new citizens, a holiday party at Conestoga View, and speech and hearing services. 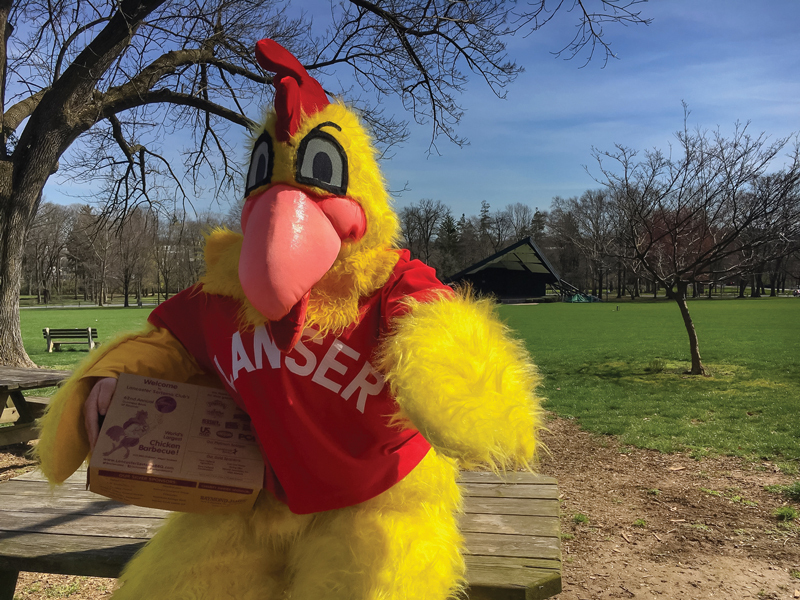 Club members also assist the Long’s Park Amphitheater Foundation in presenting the annual Art Festival, proceeds from which fund the free Summer Music Series on Sunday evenings. While barbecued chicken is the main draw, this year’s event will again host the Family Fun Area, which will feature inflatable bounce houses from Bounce Kraze and games provided by the barbecue’s partners. For adults, Mount Hope Estate & Winery will be at the park offering samples and selling their tasty collection of wine, cider and beer. Of course, take-out is available and for this year’s barbecue, extra pick-up lanes have been added. A fast-line for pre-purchased ticket holders will also be open. Also, in-park purchases can be made with credit cards this year. The 66th Annual Sertoma Chicken Barbecue will be held Saturday, May 19, in Long’s Park from 10 a.m.-6 p.m. (rain/shine). Advance tickets are $10 and can be purchased through mid-May at Turkey Hill Minit Markets, from Sertoma members or online. Day-of tickets are $12. 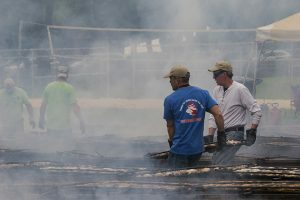 For details, visit lancastersertomabbq.com.